Back in April, Kristen and I were embarking on a 10 day trip around the Southwest. On our way from Zion National Park to the Grand Canyon, we drove a few hours into Arizona during a beautiful sunset. The timing worked out great: just as we crossed over the Arizona border, the sun was setting as the moon came up behind some INTENSE Arizona landscapes. The Grand Canyon. That one canyon that is the most grand. 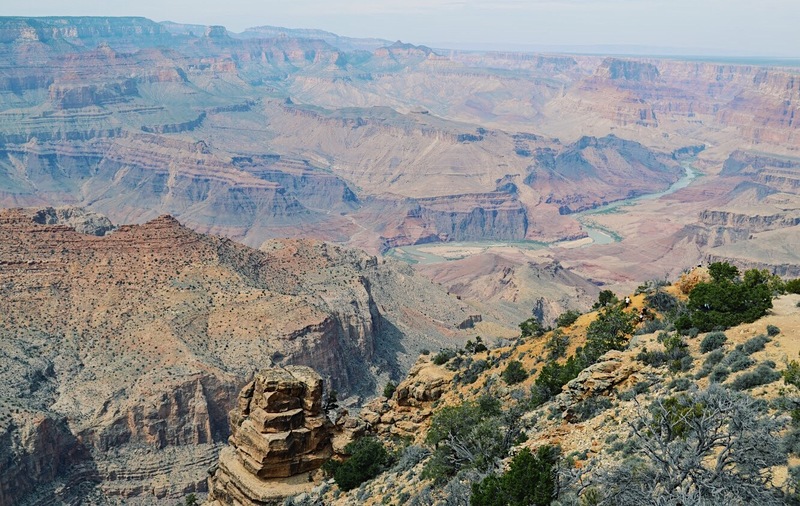 Up until April of 2017, Grand Canyon National Park seemed like this fantasy place in the American Southwest where cool people went. Everyone knows about the Grand Canyon, which made me kind of nervous to go. Like I wrote in my post about Zion, parks like the Grand Canyon and Yellowstone are SO well known and get so much attention, I was almost a little less excited to go with such high expectations. I was nervous about not liking it as much as the world does! But it holds up, guys. It was really really really great. Maybe even grand.